Donate - Chabad of Placer County, Where every Jew is Family! Chabad of Placer County, Where every Jew is Family! 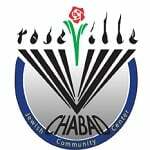 Chabad of Roseville/Placer County is committed to reaching out in genuine love, providing an enriching life and community to every Jew in Placer County. Our continued growth is made possible by the support we receive from friends like you. Unlike traditional synagogues, Chabad of Roseville/Placer County does not ask for annual membership dues or require any building fund payments. Each Chabad Center is self-supporting and does not receive funding from Chabad-Lubavitch World Headquarters in New York. Become a partner and help Chabad continue to spread warmth, joy, and light throughout Placer County. Chabad of Roseville/Placer County is a 501(c)3 non-profit organization. All grants & charitable contributions are tax-deductible. an ongoing relationship between you and Chabad. Please make checks payable to Chabad of Placer County.